Tom Harrison takes you through the top 10 domestic transfers before the 2017 Clausura, offering his thoughts on the biggest moves. By common conception, the best goalkeeper in Liga MX. América didn’t exactly have a keeper problem, but clearly Moi Munoz was deemed to be past his best, and Hugo González not thought to be good enough to take his place. Impressive reflexes, handling, and good in one-on-one situations, Marchesín more or less has it all. His addition should make Las Águilas more difficult to score past next season. Santos may not miss Marche too much though. Los Guerreros moved quickly to bring in Jonathan Orozco as his replacement, with the ex-Monterrey keeper still yet to hit his potential. Atlas have lacked a regular goal scorer for as long as I’ve been a fan of Liga MX. Now, they finally should have one. Puebla legend Alustiza is a natural finisher, possesses intelligent movement off-the-ball, and Atlas fans should warm to his passion for the game. If El Chavo can score regularly, Atlas may make it into next season’s Liguilla. From a Puebla perspective, this is a huge loss. Alongside his goals, La Franja will greatly miss his leadership, and ability to lift the crowd at Estadio Cuauhtémoc. Watching Puebla without Alustiza won’t seem quite right. Undoubtedly the deal which garnered the most interest from Liga MX fans. Chivas continued their recent trend of spending large amounts of money on quality Mexican players, bringing in Rodolfo Pizarro, who has 6 Mexico caps. 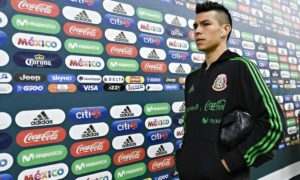 Part of the famous Pachuca trident; him, Hirving Lozano and Erick Gutiérrez, Pizarro has been a vital part of Pachuca’s successes under Diego Alonso. 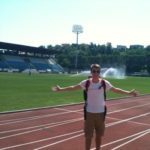 Originally a right-back/right-midfielder, his conversion to central attacking midfield took a while, but has proven to be a very successful transition. 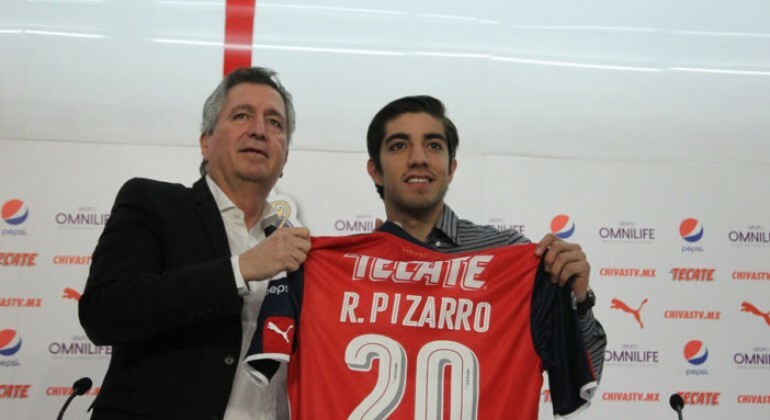 Pizarro looks like a superb addition for Chivas. His clever, non-stop, movement, eye for a pass and speed of play makes Pizarro a fantastic link-up player in the “number 10” role. Last season Chivas had plenty of possession, but failed to regularly created chances, and often struggled to play through the centre of the pitch. Carlos “Gullit” Pena and Javier “Chofis” López were both used as “number 10’s”, but neither did enough. If Pizarro can outperform Gullit and Chofis in the attacking midfield role, Chivas become title contenders. A big loss for Pachuca, expect Víctor Guzmán, who moved permanently to Estadio Hidalgo as part of this deal, to start now. Guzmán was a regular when Pizarro was injured last season. The man-mountain that is Gabriel Penalba was Cruz Azul’s only domestic addition this draft. Penalba isn’t exactly the player you’d expect “Paco” Jémez to sign, but he could prove a quality acquisition for La Máquina. Penalba’s physical presence will add solidity to a Cruz Azul side that has become synonymous with capitulations and throwing away points. The Argentine’s game isn’t just about power and strength though. He also possesses a decent level of technical ability and game intelligence. Veracruz will certainly miss him. It just didn’t work out. Gullit wasn’t happy to leave León for Chivas, and he was never able to reproduce the same level of performance for his new club. It would be harsh to say that Pena didn’t care about Chivas, but low morale may have impacted his displays. Moreover, Pena’s strengths didn’t suit Matías Almeyda’s style of play. Almeyda’s possession-based game requires a high technical level, and Gullit’s main assets are physical. Back at León, Pena will be happy, and his game should mesh well with Javier Torrente’s more direct, vertical system. If he can rediscover his best form, and La Fiera can continue to successful adopt Torrente’s pressing game, León should be strong title contenders. Gullit was one of the best players in Liga MX during his first spell at León, can he rediscover that form? This deal may not have raised many eyebrows, but it’s significant for two reasons. Firstly, 30-year-old Fuentes has never played for anyone but Pumas. Whilst it’s a shame that he won’t spend his whole career with the Mexico City side, it will also be interesting to see how Fuentes performs at another club, somewhat outside of his comfort zone. More significantly, Fuentes is a solid full-back who’s capable of strengthening a Monterrey back-line which looked vulnerable at times last season. The centre-back partnership of José María Basanta and César Montes is strong, but none of the Rayados full-backs performed during the Apertura. Monterrey also rely on their full-backs to offer width, with the likes of Dorlan Pabón, Edwin Cardona and Yimmi Chará preferring to cut and drift in from the wings. Fuentes has often been a threat for Pumas when going forward, and this strength should help to improve Monterrey. Once one of the world’s top young talents, Rabello’s career continued to stutter as he left Europe for Santos. Part of Santos’ policy of bringing in players that didn’t quite make the grade in Europe, Rabello showed glimpses of class, but couldn’t produce on a consistent basis. With Santos now steering towards players, and a head coach, that have experience in Mexico, they’ve let Rabello move to Pumas on loan. Getting into the team may be challenging, with strong competition in the “number 10” role from Matías Britos, assuming that Nicolás Castillo starts up front. However, Rabello’s talents cannot be ignored, and if “Paco” Palencia gets the best out of him, he’ll have one of the best players in Liga MX on his hands. As mentioned, Santos have shifted their recruitment policy to bringing in more players with experience in Mexico. Their highest profile signing of 5 in draft was Veracruz’s Julio Furch. Target man Furch isn’t the best all round forward, but he’s proven himself to be a regular goal scorer for Los Tiburones Rojos. If supplied with good service from crosses and set pieces, Furch can be a major aerial threat. “Chepo” de la Torre’s reign in Torreón has begun poorly, but if he can get Furch firing, Santos, who struggled for goals during the Apertura, should improve greatly during the Clausura. It was always going to be difficult to keep together the table-topping Tijuana side. Losing Hauche is a blow to Los Xolos, but it’s manageable, and considering his age, it may be a good time to sell the Argentine. Heading into their centenary year, Toluca need to return to the play-offs, and Hauche should help their Liguilla push. Expect “Gabby” to play on the left-side, where he can cause problems for opposing full-backs with his pace and trickery. Hauche also showed himself to be an intelligent attacking player during his time at Estadio Caliente, and he may be able to link-up well with fellow Argentine “Pitu” Barrientos, who was superb during the Apertura. Quite a fall from grace. Last year, Herrera was being strongly linked with a move to Mexican giants Chivas. Now, after falling out of favour under Palencia, he finds himself with relegation fighting Veracruz. Veracruz coach Carlos Reinoso plays the most direct football in Liga MX, and he needed to bring in a target man to replace Julio Furch. With this in mind, Lalo is quite a coup for Los Tiburones Rojos. Herrera is short of match-sharpness right now, but if he can hit the ground running at Veracruz, the former Mexico international could score the goals that keep Reinoso’s strugglers in Liga MX. Liga MX sides are out of the 2017 Copa Libertadores. What’s next?